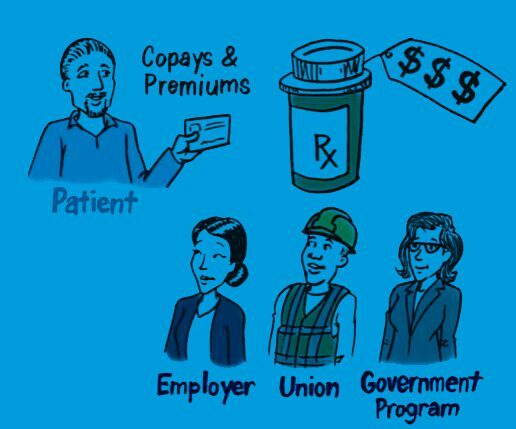 Fact: As medical costs rise, more employers, unions, and government programs are offering lower cost, high-deductible plans. Pharmacy benefit managers (PBMs) help stretch health care dollars further by reducing pharmacy costs by 30%. How do prescription drug rebates reduce costs? PBMs support benefit designs that ensure patients do not pay more in cost-sharing than the cost of an actual drug. Most plans take those manufacturer rebates and other savings and use them to reduce premiums for all their enrollees. Others use them to reduce out-of-pocket costs for specific patients who may need certain high-priced drugs. 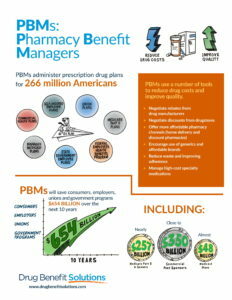 Whatever the plan decides, PBM savings help them reduce the costs of drugs and overall health benefits. Most consumers blame drug companies, not insurers, for higher cost-sharing. As a percentage of overall out-of-pocket consumer spending, cost-sharing has actually gone down for prescription drugs to below 20%. On average, annual out-of-pocket spending on prescriptions by people with large employer coverage dropped by about $24 from 2009 – 2014. Pharmacy benefit managers (PBMs) pass back to employers more than 90% of total rebate dollars, received from brand-name pharmaceutical manufacturers, according to Drug Channels. Survey results show that by an almost 3-to-1 margin, voters blame high drug prices for increased cost-sharing, and only 1-in-5 voters buy the drugmakers’ “rebates cause high prices” message.